The Best Hawaii blogs from thousands of top Hawaii blogs in our index using search and social metrics. Data will be refreshed once a week. Also check out Hawaii Youtube Channels. 2.19 gigi-hawaii | Aloha and mahalo for stopping by. Hawaii newsletter is a comprehensive summary of the day's most important blog posts and news articles from the best Hawaii websites on the web, and delivered to your email inbox each morning. To subscribe, simply provide us with your email address. About Blog Aloha and welcome to award-winning Go Visit Hawaii, your unbiased source for staying up to date on all Hawaii has to offer. We bring you the news and reviews on Hawaii’s deals, hotels, restaurants, sightseeing, and entertainment. This site helps you wade through the masses of Hawaii travel information to help you find all the best things to see, do and experience when you visit Hawaii. Facebook fans 94,370. Twitter followers 834. Hawaii Island About Blog BigIslandNow.com is the online source for Big Island news, events, weather, sports, opinion, video, jobs and much more. Facebook fans 33,519. Twitter followers 2,571. Honolulu About Blog Planning a Hawaii vacation? Experience the best Hawaii has to offer without spending a fortune on your Hawaii vacation. Read our tips before you travel to Hawaii! Facebook fans 467,433. Twitter followers 6,057. Honolulu About Blog Hawaii Business magazine is covering the major issues facing local businesses and the state economy. Our goal is to strengthen the local economy and help our communities thrive. Facebook fans 7,324. Twitter followers 30,059. Hawaiian Islands About Blog Popular things to do in Hawaii, Oahu, Maui, Kauai, Big Island. Robert's Hawaii provides the some of the best guided tours & quality transportation in Hawaii. Facebook fans 25,733. Twitter followers 4,275. Facebook fans 11,839. Twitter followers 2,464. Waimanalo, HI About Blog Hello world! We want to let you in to our lives and show you day to day life in Hawaii!! Facebook fans 646. Twitter followers 38. Hawaii About Blog Starwood Hotels and Resorts will highlight everything from island events, activities, and news to hotel deals and happenings. Facebook fans 13,174. Twitter followers 15,427. Kapalua, Hawaii About Blog The beauty of Maui is calling you! Browse through active property listings including million-dollar homes, exclusive residential estates, beachfront resort condos with top-notch amenities, oceanfront mansions and more. Facebook fans 20,817. Twitter followers 2,712. Honolulu, HI About Blog The department shall administer programs designed to increase the economic security, physical and economic well-being, and productivity of workers, and to achieve good labor-management relations, including the administration of workers’ compensation, employment security, apprenticeship training, wage and hour, and industrial relations laws. Honolulu, HI About Blog The mission of the University of Hawai‘i Athletics Department is to operate dynamic sports programs encouraging student-athletes in their pursuit of excellence in the realms of academic achievement and athletic competition at the highest levels. Facebook fans 68,281. Twitter followers 26,073. Maui, Hawaii About Blog Maui Activities, Accommodations, Beaches, Events, Restaurants, Weather, Weddings, and much more to help you with your visit. Facebook fans 412,190. Twitter followers 24,135. Honolulu, HI About Blog The source for University of Hawaii athletics. Facebook fans 1,269. Twitter followers 1,694. Facebook fans 1,192. Twitter followers 1,088. Honolulu About Blog A blog site of my experiences enjoying the wonderful food of Hawaii, with a focus on Honolulu on the island of Oahu. This includes recipes and reviews of eateries ranging from the neighborhood plate lunch stand to fine dining restaurants. Facebook fans 678. Twitter followers 167. About Blog Weblog of the acting government of the Hawaiian Kingdom presently operating within the occupied State of the Hawaiian Islands. Facebook fans n/a. Twitter followers 513. About Blog A Blog for Weddings of Hawaii - A helpful guide to planning your destination wedding in Hawaii. Facebook fans 7,763. Twitter followers n/a. Australia About Blog My Hawaii brings you exclusive Hawaii Holiday deals to the best Hawaiian resorts with the best bonus value! Get your Hawaii package deal today! Facebook fans 138,149. Twitter followers 29. 19. gigi-hawaii | Aloha and mahalo for stopping by. About Blog Aloha and mahalo for stopping by. “gigi-hawaii” is a blog nickname for Glenda Chung Hinchey, a third-generation Korean-American, born and raised in Hawaii. Hawaii, USA About Blog Aloha and welcome to This Blog will take you all over Kailua Kona and the Big Island of Hawaii with facts, stories and videos! Join us! Facebook fans 686. Twitter followers 214. Kauai, Hawaii About Blog Tasting Kauai invites residents and visitors on a culinary romp through paradise. Learn how to buy local through educational and fun events while connecting with Kauai’s culture, aloha, people and land. Facebook fans 5,538. Twitter followers 2,193. Maui, hawai'i About Blog Wendy Laurel is a Maui based photographer who shoots film photography hawaii weddings and families and lifestyle and commercial photography. Facebook fans 2,726. Twitter followers 337. Honolulu, Hawaii About Blog The current of Hawai‘i. A triannual digital, social and print publication that offers a curated look at island arts, culture, style, travel, design, and innovation. Facebook fans 3,642. Twitter followers 5,109. Honolulu, Hawaii About Blog The online listing of historic properties includes individual information pages for each designated historic property. Facebook fans 1,778. Twitter followers 2,772. Hawaii About Blog iLind.net has continued a meandering path through Hawaii's politics, media, and more. My reporting has won three top awards in annual competitions sponsored by the Hawaii Professional Chapter of the Society of Professional Journalists. Facebook fans n/a. Twitter followers 1,064. Hawaii About Blog TeamLally.com is the Top Hawaii real estate website to find homes and condos for sale in Oahu, Maui, Kauai, and Big Island. Facebook fans 2,489. Twitter followers 1,526. About Blog This blog is about Hawaii’s status as an independent country under prolonged illegal occupation by the United States, and the history, culture, law & politics of the islands. Honolulu and Kapolei, HI About Blog Just another Dakno Marketing Blogs site. RE/MAX Honolulu is a full-service real estate brokerage firm founded in 1994, built for and by Top Producers. Facebook fans 375. Twitter followers 199. Honolulu, Hawaii About Blog Hawaii Home is your one stop for everything Hawaii. Love where you live. Powered by Coldwell Banker Residential Brokerage. Facebook fans 1,816. Twitter followers 1,432. Kailua, HI About Blog Here you will find information on marriage, motherhood, and the corporate world as seen through my eyes (usually with a little humor mixed in). Facebook fans 1,223. Twitter followers 657. Hawaii State Capitol About Blog News and commentary from the Majority of the Hawaii House of Representatives. Facebook fans 1,069. Twitter followers 2,903. Hawaii About Blog Aloha and welcome to our Hawaii! Bringing more reality to the virtual Hawaii. Facebook fans 1,292. Twitter followers 14,172. Hawaiian Kingdom About Blog Information about the rapidly growing grass-roots movement to recognize and restore the Hawaiian Nation - an Independent Hawai'i. Brought to you by The Koani Foundation - organizers of the Aloha Marches. Facebook fans 5,778. Twitter followers 2,078. About Blog A blog for adventure travelers featuring free things to do and see in Kauai, Maui, Oahu and the Big Island of Hawaii. Facebook fans n/a. Twitter followers 3,935. About Blog A commentary on insurance coverage issues in Hawaii and beyond. About Blog THE source of news about science and the environment as they relate to the Hawaiian Islands. Issues covered include archaeology, astronomy, botany, climate science, conservation, efficient transportation, geology, marine sciences, sustainability and zoology, with occasional forays into other areas, including traditional navigation and canoe voyaging. Maui, HI About Blog Ohana Fun specialize in quality Hawaii activities and tours for families, honeymoon couples, and groups on Oahu, Maui, the Big Island, & Kauai. Facebook fans 32,969. Twitter followers 5,144. Honolulu, Hawaii About Blog Exploration: Hawaii is your new guide to some of the most exciting and thrilling things that you can do in the 50th state. Facebook fans 3,279. Twitter followers 389. Lahaina, HI About Blog Ready for a Hawaii vacation? Come stay at Kahana Village, a West Maui private beachfront condo rental property. Book Direct for the Best Deals! Facebook fans 16,575. Twitter followers 30. About Blog Hawaii’s Big Island has it all. Active volcanoes, tropical rainforest, perfect beaches, rich Hawaiian history. Your next vacation begins here. Facebook fans 483. Twitter followers n/a. Big Island of Hawaii About Blog Luxury Big Island provides comprehensive service and vast listings of the most luxurious Big Island real estate for sale & Hawaii luxury real estate properties. Facebook fans 1,878. Twitter followers 397. Maui, Hawaii About Blog Liza is the local Maui Mama talking story online - Maui, travel, family, social media, all da kine stuff. Come, stay for a while, and talk story with me. Feel free to ask me all your questions about Maui. Aloha! Facebook fans 41,221. Twitter followers 13,489. Honolulu About Blog Best Of Hawaii is your one stop shop for all the best attractions & deals in HI. We picked the best tours & activities. Just enter, pick & book your upcoming attraction. Hawaii About Blog Panda Travel ®, Hawaii’s largest agency, offers Hawaii vacation packages and trips. Cheap travel deals to Hawaii with airfare, car rental and hotels. Facebook fans 211. Twitter followers 115. Facebook fans 13,386. Twitter followers 1,946. Maui, Hawaii About Blog Get inspired by hundreds of Maui destination weddings by Simple Maui Wedding. View photography, locations, floral & ministers from real Maui weddings. Facebook fans 1,895. Twitter followers 352. About Blog Find Oahu homes for sale with this easy to use website. Includes Hawaii and Honolulu neighborhood information. View Oahu MLS listings. Honolulu, Hawaii About Blog Plan Hawaii vacations with Hawaii Aloha Travel - book hotel and airfare, choose all-inclusive Hawaii vacation packages, or create your own Hawaiian vacation. Facebook fans 33,402. Twitter followers 3,769. The Big Island Hawaii About Blog Get the best Big Island of Hawaii real estate listings and homes for sale, expert advice and local information for Hawaii from a Big Island of Hawaii real estate agent, Annette Mejia. Facebook fans 863. Twitter followers 222. Oahu Kauai Maui & Hawaii About Blog Our mission is to enhance Hawaii’s food security and economy by increasing the number of local agricultural producers by offering those with an interest in agriculture a combination of knowledge, experience, and support designed to assist them in becoming viable production growers, and accomplish this in a manner that encourages sustainability. Facebook fans 1,001. Twitter followers 605. 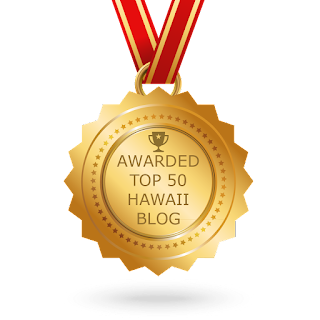 CONGRATULATIONS to every blogger that has made this Top Hawaii Blogs list! This is the most comprehensive list of best Hawaii blogs on the internet and I’m honoured to have you as part of this! I personally give you a high-five and want to thank you for your contribution to this world.